Whether you are holding a fairytale-themed party, baby shower, or need an oversized embellishment for a wreath, this butterfly will be the perfect place to start. Trace and cut the 3 butterfly shapes using templates and desired prints from the stack. Score and fold each one following the dotted lines on the template. Layer the butterfly shapes from largest to smallest and adhere them together in the center. Use this template with another 11”x17” stack to give the finished project a custom look. 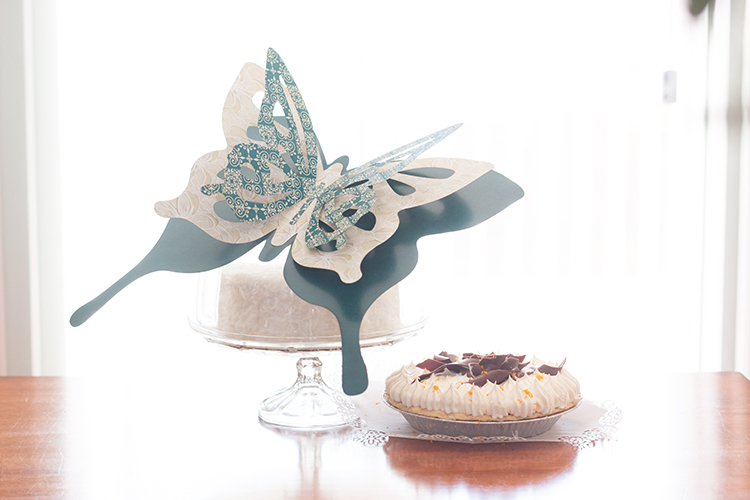 Use a craft knife to cut out the shapes inside the butterflies. If desired, resize the template to fit on a smaller or larger sheet of paper.